The 8th P B Karandawela Memorial Lecture on “Global Financial Crisis and its Implications on Ports & Shipping” organized by the Chartered Institute of Logistics and Transport will be delivered by Dr. Parakrama Dissanayake, Chairman – Aitken Spence Maritime and Cargo and Director of Aitken Spence PLC on January 6 in Colombo. The late Mr. Karandawela, a former Secretary – Shipping, Ports and Aviation, pioneered the establishment of organizations such as, Ceylon Shipping Corporation, Central Freight Bureau and the Colombo Dockyard and was its first Chairman and did invaluable service to this country especially in the field of Shipping, Air and Road transport. 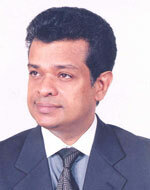 He was also Chairman – Air Ceylon and Sri Lanka Transport Board. The Chartered Institute of Logistics and Transport annually holds the memorial lecture in honour of this prominent personality with a view to introduce his contribution in this sphere to the younger generation, the institute said.